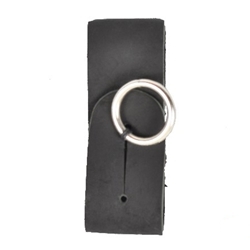 Our Accessory Holder is great for attaching all your medieval necessities to your belt. Perfect for pouches, daggers, tankards, books, etc. Standard is from black top grain leather. Now available in a variety of great leather colors to match your outfit.